TOKYO -- Japan is expected to effectively withdraw its plans to build a nuclear power plant in Turkey by asking Ankara to inject a significantly larger amount of funds amid ballooning safety costs -- a demand Turkey is likely to reject -- according to people familiar with the decision. 일본은 지난 2013년 수주전 막판에 한국을 제치고 따낸 터키 원자력발전소 건설 계획에서 철수하기로 했다고 마이니치 신문이 4일 보도했다. 신문에 따르면 일본 정부는 미쓰비시(三菱) 중공업과 터키에서 관민 연합으로 진행한 신형 원전 건설과 관련해 터키 정부에 대폭적인 부담 증액을 요구하는 최종 조건을 제시할 방침을 굳혔다. 안전대책 비용 등이 급증하면서 채산성이 악화했기 때문이지만 터키가 이런 조건을 수용할 가능성이 낮기 때문에 사실상 철수 수순을 밟게 될 것으로 신문은 전망했다. 히타치(日立) 제작소가 추진해온 영국 원전 수출도 실현이 어려운 상황인 점에서 양국 원전 건설이 좌절하면 일본 내외에서 원전 수주가 전무하면서 아베 신조(安倍晋三) 정부가 인프라 수출전략의 핵심으로 내세운 원전 수출 그 자체가 백지화하게 된다. 일본 정부와 미쓰비시 중공업은 터키 북부 흑해 연안 시노프 원전 건설을 수주해 2013년 아베 총리와 레제프 타이이프 에르도안 당시 총리가 관련 공동선언에 서명했다. 이후 미쓰비시 중공업과 프랑스 프라마톰(엣 아레바)이 공동 출자한 아토메아가 독자 개발한 신형 중형원자로 ‘아토메아 1’ 4기를 건조해 2023년 가동을 목표로 했다. 하지만 일본 후쿠시마 제1원전 폭발사고를 계기로 세계 원전의 안전대책비가 증대했다. 여기에 터키 원전 예정 부지 주변에서 활단층 존재가 드러남에 따라 건설 사업비는 애초 2조1000억엔에서 두 배 이상인 5조엔(약 50조원)으로 불어났다. 더욱이 터키 통화 리라가 폭락함에 따라 채산성이 한층 악화했다. 그래서 일본 정부는 사업비 회수를 위해 판매전력 가격의 대폭 인상 등을 요구했지만 터키 측이 국민 부담 증가를 이유로 난색을 보였다. The Japanese government decided to ask for the increased coverage by Turkey as a final condition for constructing the plant. 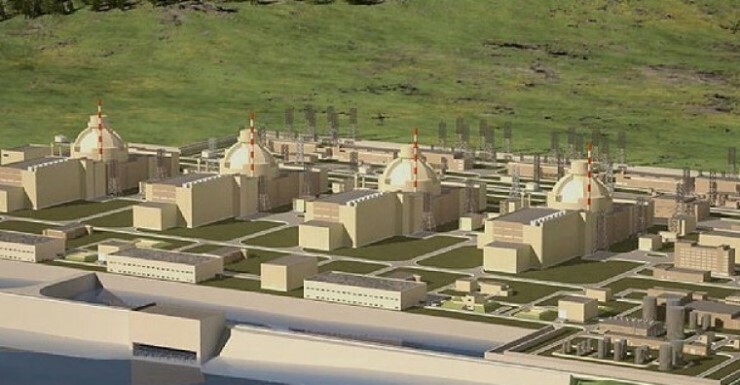 Under the current proposal, the plant is to be built by ATMEA, a joint venture of Japan's Mitsubishi Heavy Industries Ltd. (MHI) and French nuclear plant maker Framatome, near the Black Sea coastal town of Sinop in northern Turkey. Besides the Turkish project, another plan to export nuclear power reactors to Britain by Hitachi Ltd. also faces difficulties. If both plans fail, a growth drive strategy of the administration of Prime Minister Shinzo Abe will collapse. The Turkish project has its roots in a 2013 joint declaration for cooperation over the construction of nuclear power plants signed by Prime Minister Abe and then Turkish Prime Minister Recep Tayyip Erdogan. Under the original plan, four medium-sized ATMEA1 reactors would be built for the start of operation in 2023. However, the total cost estimate conducted in July 2018 by MHI for the project more than doubled from the original projection of some 2.1 trillion yen to around 5 trillion yen. The price hike occurred amid rising safety costs following the 2011 triple core meltdowns that hit the Tokyo Electric Power Co.'s Fukushima Daiichi Nuclear Power Station, as well as the finding of an active fault near the Sinop site. In addition, the Turkish lira has gone down since the summer of 2018, eroding the project's profitability further. Tokyo therefore decided to increase the sale price of electricity to be generated by the new nuclear power station in a bid to recover project costs. It is expected to be difficult for Ankara to accept the new condition, because it would mean the Turkish people would have to shoulder a greater financial burden. Japan and Turkey will effectively discuss how to arrange Japan's departure from the project. In a bid to sustain their bilateral relationship, the Japanese government and MHI plan to propose to Turkey provision of high efficiency coal-fired power production technologies and other offers. Meanwhile, Hitachi, which also manufactures nuclear reactors, has acknowledged that it faces difficulties in completing a project to build two nuclear reactors in Britain. Chairman Hiroaki Nakanishi of the company told reporters in December that he informed the British government that the plan was "at a limit" due to a surge in project costs. Both the Turkish and British projects have been pitched directly by Prime Minister Abe, but those once promising plans now appear to be falling apart.